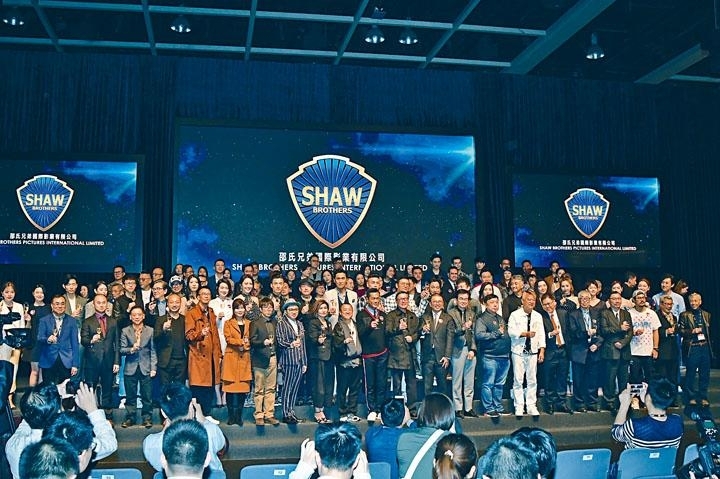 Elaine Lok Yi Ling said that this year Shaw would enter its 61st year and continue to bring together filmmakers new and old to make good movies. She hoped that everyone would not forget where they came from. She was the most touched when earlier Aaron Kwok Fu Sing said that he made I'M LIVIN' IT because it was a Hong Kong film. He spoke for filmmakers' passion and love for Hong Kong film. After she heard it she saluted. LINE WALKER had many scenes from Spain and Myanmar. Producer Lau Wai Keung revealed that Myanmar opened up for a foreign film production for the first time. Shooting the Running of the Bulls in Spain was also full of difficulties. He and Ms. Lok invited Koo Tin Lok to the stage and kept thanking him. 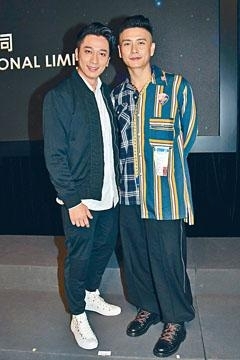 Lau Wai Keung said that the film was only completed after Goo Jai became the Best Actor, because the film secretly had to have three Best Actor Koo Tin Lok, Cheung Ka Fai and Ng Chun Yu in order to start production. Web drama FLYING TIGER II's actors Bosco Wong Chung Chak, Ron Ng Cheuk Hei, Jennifer Yu Heung Yi, Jacky Cai Jie said that they received orders from above not to spoil the film. Only Sam Gor Michael Miu Kiu Wai said that he got a promotion in the show. 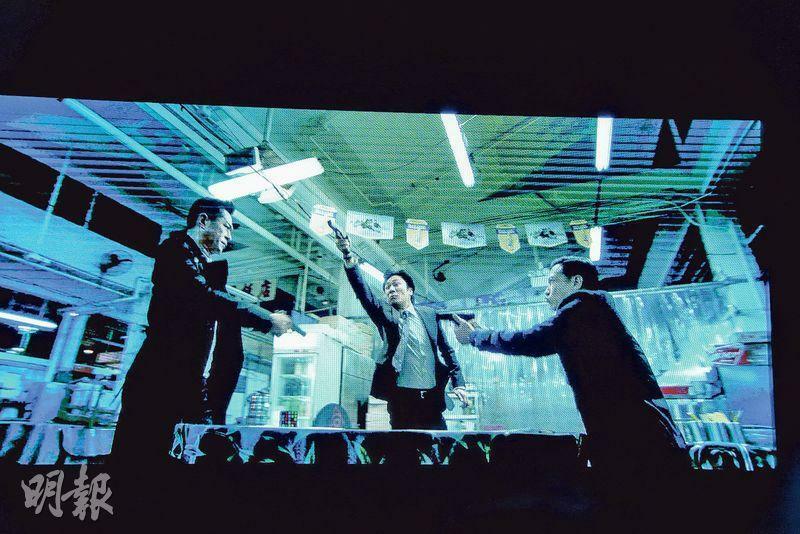 Producer Cha Chuen Yi complained about how difficult applying for explosion scenes was. "Requiring application is very reasonable, but the approval is very tricky. On one hand the police public relations department already gave approval, but the district did not. I hope the authorities would take a look and give filmmakers a little less restriction." Shaw Brothers aside from its own production would also work with Wong Jing, Eric Tsang Chi Wai, Wong Cho Lam's companies and at the same time announced that Lawrence Cheng Tan Shui would be its first acting executive officer. It would form the "Show 8" internet interactive platform to provide acting training to newcomers who are interested in show business. In the FLYING TIGER promotional film Yu Heung Yi forced a kiss on Ng Cheuk Hei. He explained that in the series he and Yu grew up together but he liked Cai Jie, while Yu Heung Yi liked him. Yu Heung Yi said that kissing him felt like a dream because she grew up watching him in THE ACADEMY. Ng Cheuk Hei reacted, "Our age are pretty close, that's exactly what I don't want to hear. I don't dare to say that to Sam Gor. I just watched THE FEARLESS DUO, I wouldn't say that I watched it when I was little." Wong Chung Chak helped his friend in condemning Yu Heung Yi for the "lack of culture". "We are at fault for not teaching her, maybe she doesn't even have any idea who Sam Gor is." Wong Chung Chak reportedly bought four homes in Malaysia. He clarified, "I was just at a meeting there and happened to look at the property. I haven't bought anything yet as I am still considering them. Ma taught me that buying bricks is the most stable." Wong Chung Chak revealed that he already have properties in Malaysia, the Mainland and Hong Kong, mainly for investment and rental. Yu Heung Yi and Cai Jie in the film had kiss scenes with Ng Cheuk Hei. Yu Heung Yi said that actually she forced a kiss on him and thought that it was like a dream, because she grew up watching him in THE ACADEMY. She never thought that now she could kiss him. Aside from the intimate scene, Yu Heung Yi also fired a gun for the first time. Unfortunately she did not put cotton balls in her eyes to protect them, thus after the shot her ears were ringing and she needed a month to recover. Cai Jai said that she was very nervous so before firing the gun she filled her ears with cotton. She was very happy that this character would not be as dark as her previous ones, and would have a romance. 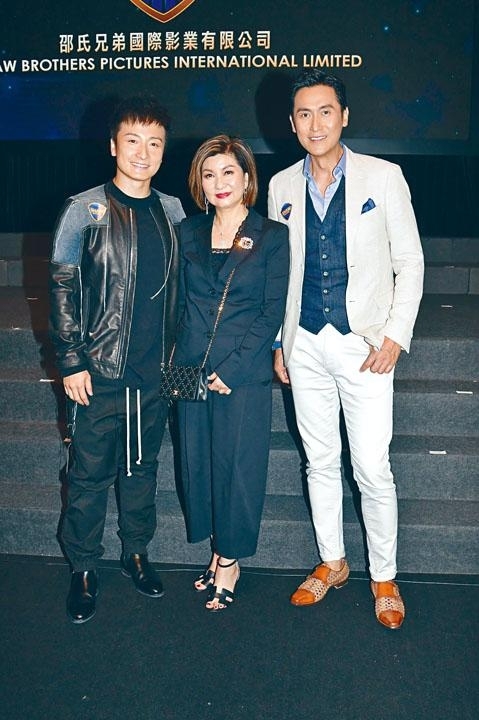 "Television Best Actor" Ma Tak Chung was honored to work with three Best Actors Louis Koo Tin Lok, Nick Cheung Ka Fai and Francis Ng Chun Yu in LINE WALKER (SI TOH HUNG JEH). Playing the police commissioner was a dream come true for him. He hoped to have the chance to develop in film and to take part in FLYING TIGERS III. Would his son Ma Choi Yeung also join Shaw? Ma Tak Chung said that he was only helping him field jobs for now. Because his son has not finished his education, he would only return to Hong Kong for work. Speaking of Hong Kong swimming athlete Kenneth To King Him's collapse after training in the U.S., Ma Tak Chung hoped that everyone would pay more attention to sport injuries. He said that his son was a swimmer too and once trained with To King Him in Australia. He thought To was very strong. He hoped everyone should have scheduled check up and pay attention to their health. Officially signing with Shaw earlier, Fong Lik Sun also showed his support. He said that after working on I LOVE YOU, YOU'RE PERFECT, NOW CHANGE! (NEI MAI LEI, NGOR OI NEI!) he talked with Ms. Lok again. He felt that in the past few years he took jobs on his own without a manager, which felt like that he did not have a home in Hong Kong. Many people saw that he was teaching swimming and holding art exhibits and thought that he changed jobs. He said, "Actually acting is my real career, teaching swimming is just an interest." Did he sign with Shaw for an astronomical price? Siu Fong said that he was no longer young and would not sign for more than 5 years. He did not negotiate the price either because he and Ms. Lok got along very well. "I am not in need of money, the most important is opportunity. The contract has no special demand. We are about trust. I hope to have a chance to work on action films, I hope to have a part in FLYING TIGER III." 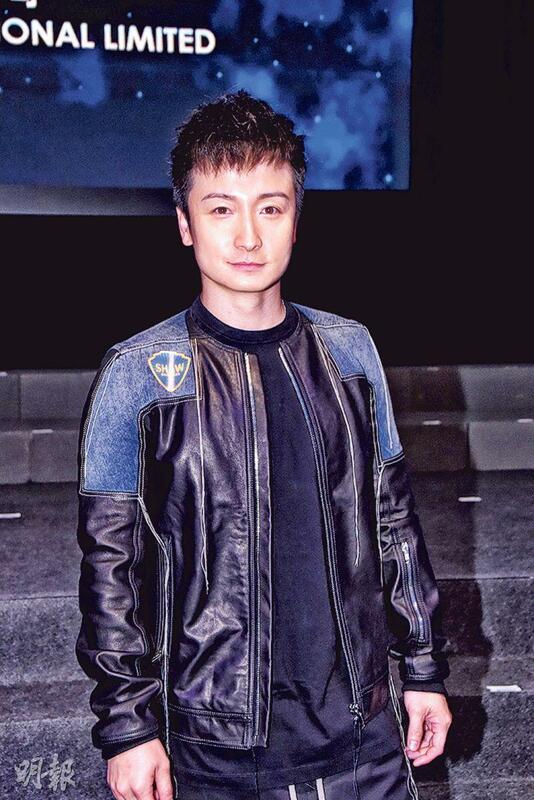 Siu Fong said that in the past the audience knew him from romantic films. He hoped to try other characters to show people his growth.